The application form can be used for obtaining permanent / temporary service connection or for re-effecting a dismantled service. You can download the application form by following the below guidelines. 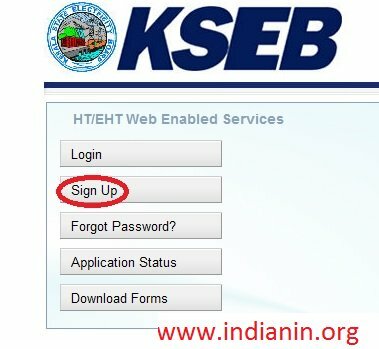 Go to the official website of KSEB. Click the Customers tab available. Then click on Get a Connection link under the customers tab. 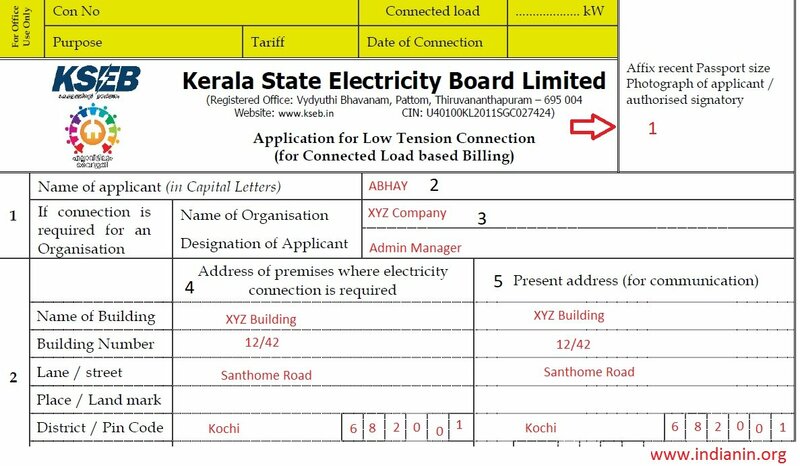 Simplified Service Connection application forms are available at a cost of Rs 10/- at Electrical Sections. Scroll down to the bottom of the page to download the application form. After download Application for Low Tension Connection, fill all the required details to apply. Step 1 : Affix recent Passport size Photograph of applicant / authorised signatory in the given place correctly. 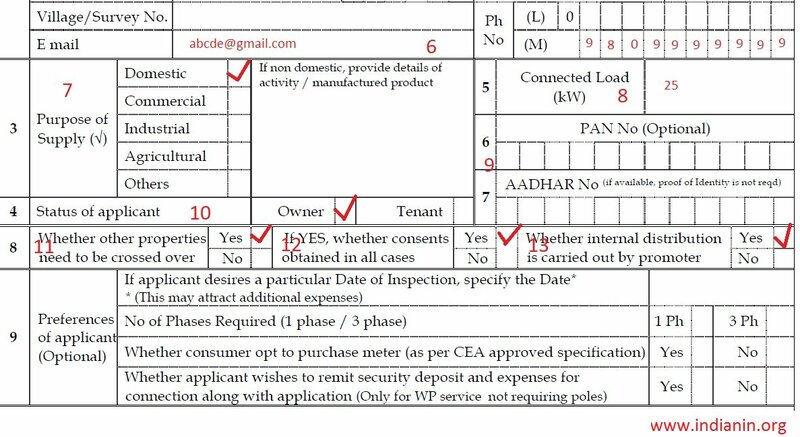 Step 9 : Enter Your PAN Number & Aadhaar Number. Both are optional fields. 1. Proof of Identity (Photo Identity Card). 3. Sketch showing details of connected equipments, marked in building plan. 7. Certificate for claiming exemption from payment of cost for providing service connection, if applicable. 8. Consents / Authorisations / Approvals wherever applicable. 9. 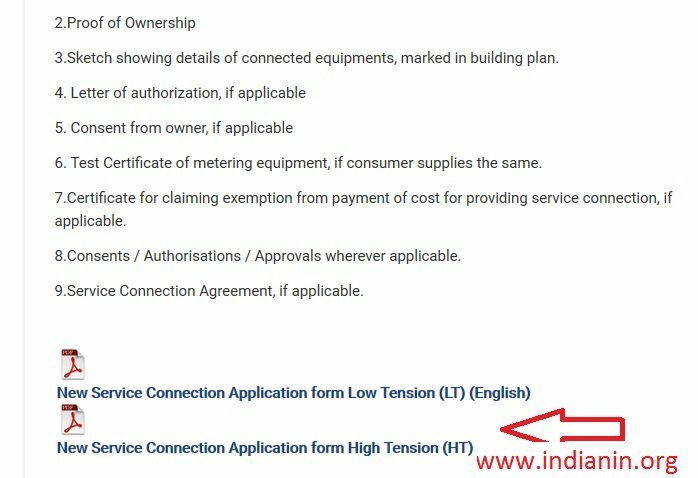 Service Connection Agreement, if applicable. Follow the below steps for online Bill Payment. Go to the link of Pay HT/ EHT bills available under Customers tab. Login with user name & password to proceed for bill payment. If you are a new user click sign up button available in the left panel of login page. 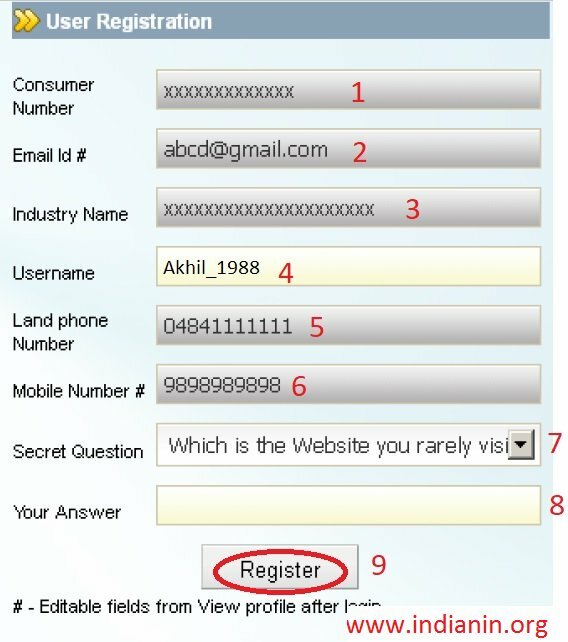 Step 2 : Enter Your Email Id # (Eg : abcde @ gmail.com) (e-mail ID should be same as that available in the KSEB records). #- can be edited in the profile page, after logging in. 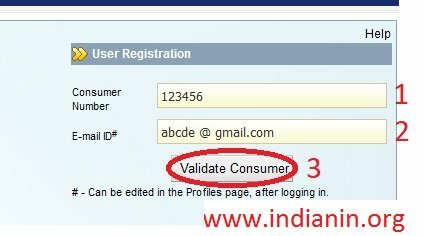 On entering the consumer number and e-mail ID, click Validate Consumer. The consumer can now log on to the site. If the details entered are correct, the following screen appears. Note: Please remember the secret question & Answer for future references. Step 9 : Click Register Button. You will now be registered as a user of this site. After successfully registering in the site, the following message would be displayed. The system will generate a default password that will be sent to your E-mail ID and messaged to your mobile number that you have provided in the site. When you log on to the site for the first time using your default password, the system will prompt you to change the password. Refer to the following screen. Step 2 : In the Old Password field, type your old password. Step 4 : In the Re-enter New Password field, type your new password once again to confirm. You can presently log on to the site with your user name and the new password. After logging in, you will be viewing the Consumer home page. Click Forgot Password link which is available in the left panel of login page. You can get Application Status by the facility available. Click Application Status link. Enter Application number in the text box available. Finally click Get Application Status Button. Click View Bill link available under Customers tab. ** This facility is now available for selected sections only. ** Bills shown here are subject to revision. 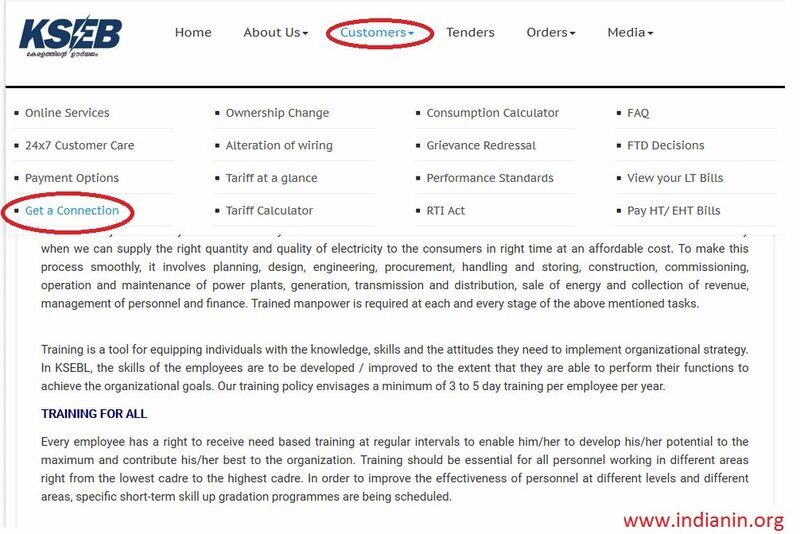 Revised bills can be obtained from your Electrical Section Office. ** In case of dispute, the original bill served from the Electrical Section office shall prevail. ** The conditions/notifications given in the original bill is applicable to this bill also. Yes, building number allotted by local body is generally insisted for giving service connections. However for construction purpose and bona fide domestic purpose, service connections will also be given based on approved plan / permit issued by the local body.